Martin Brundle, who was confirmed on Wednesday as one of Sky Sports’ Formula One commentary team next season alongside other figures from the BBC’s coverage – David Croft and Ted Kravitz – has emphasised the need for Lewis Hamilton to be mentally prepared and for McLaren to be competitive from the off in order to fight for the world championship in 2012. Brundle noted that the British driver’s team-mate, Jenson Button, had enjoyed a better season but that Hamilton possessed the skills to come back next year. “Jenson’s on a roll,” he said. 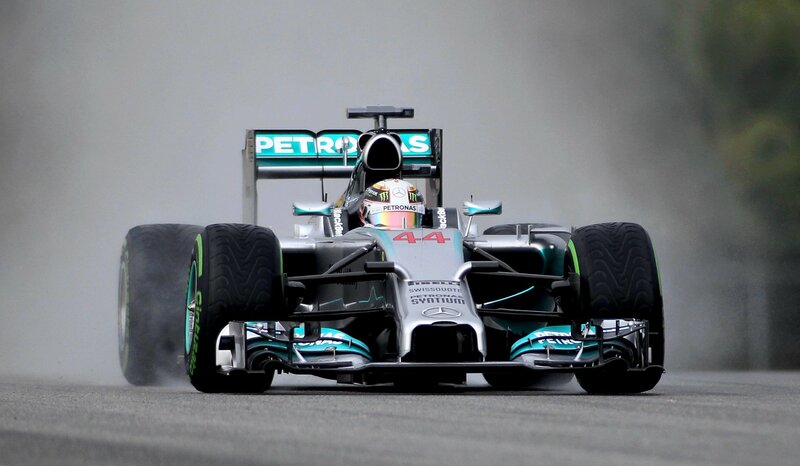 “I think its absolutely clear that Lewis’s speed and determination and skill is totally undiminished. It is a question of whether he can put himself in a mind-set where he can deliver that, week in, week out. Hamilton’s team would have to play their part too, however, after presenting a car that was uncompetitive at the start of this year, argued Brundle. “We’re all desperate for Ferrari, McLaren and Mercedes Benz, particularly the first two, to hit the ground running with a car that works out of the box and not something that they get up and running by July,” the former Benetton driver said. “That’s what we’re waiting on, because you know [Red Bull designer] Adrian Newey won’t be getting it too far wrong,” he said. Joining Brundle, Kravitz and Croft from the BBC at Sky will be the Peugeot Le Mans driver and BBC Radio 5 live commentator Anthony Davidson and the reporter Natalie Pinkham, and ITV’s former Formula One anchor, Steve Rider, will present interviews with racing legends. The new signings are a blow to the BBC, which is in a seven-year deal with the satellite broadcaster to show F1 but in a bid to cut costs bought the rights to show only 10 races live each year, in contrast to Sky, who will broadcast all the live races and have set up a dedicated F1 channel to do so. Brundle, whose knowledge and experience is widely respected, will return to the role of expert, and Croft, hugely popular from his 5 live commentary, will take over the lead role. It leaves the BBC with only Jake Humphrey, David Coulthard, Eddie Jordan and Lee McKenzie from this year’s core team across both television and radio. The change of rights has been popular with the teams, who will receive more income (and more exposure down the grid due to the increased volume of programming Sky is promising) but central to the broadcaster’s plans will be the hope that bringing some of the top BBC talent to the channel will bring the viewers as well. The World Motor Sports Council approved the provisional calendar for the Formula One 2012 season on Wednesday, confirming that it will consist of 20 races including meetings in Bahrain and the United States. There had been considerable doubt as to whether the US race, to be held at a track being constructed in Austin, Texas, would be included due to concerns about financing. However the organisers, Circuit of the Americas (Cota), have stated that an agreement with the F1 commercial rights holder, Bernie Ecclestone, has been reached, the Cota investor Red McCombs saying: “Mr Ecclestone received his cheque today for the USGP.” The race is scheduled for November.